If you’re selling or thinking of selling your house soon, one tip we pass along to our New Hampshire Seacoast and southern Maine sellers with hardwood floors is to make them look their best. A terrific product we use on our own floors is called Quick Shine by Holloway House floor care products. One coat of this easy to use product will restore old and dull looking hardwood flooring to an almost new shine and make them glow. 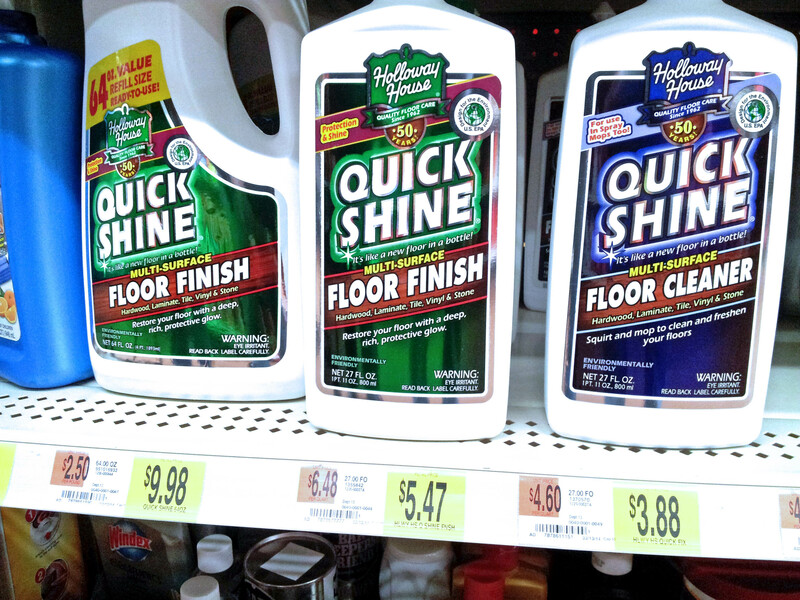 Most Wal Marts carry Quick Shine as does Home Depot and Lowes. Just watch the video below for the easy to follow and easier to use instuctions. We do our floors with Quick Shine about once a year and they stay shiny and new looking all year long with just a weekly dust mopping to keep them fresh. For more home selling tips visit our website at NewHampshireMaineRealEstate.com. Ready to sell your New Hampshire Seacoast or southern Maine home? Call Ann Cummings and Jim Lee to get started. 603-501-3839 direct for Ann, 603-501-3801 direct for Jim. If you call us and we can’t take your call, please leave your name and number, we will call you back promptly. We pride ourselves on responding to calls and emails as soon as possible.